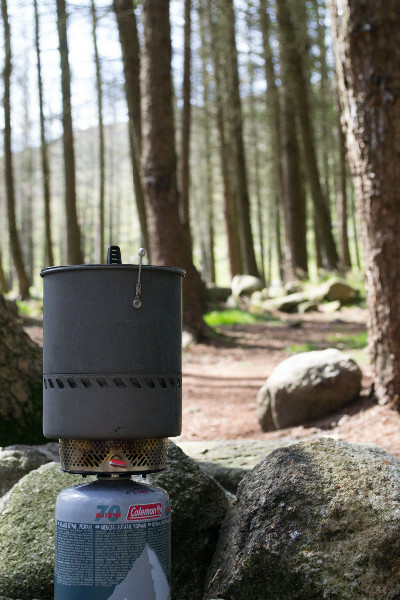 A stove intended for one sole purpose – boiling water. The MSR reactor boils water quickly, quietly and with minimal fuel use. 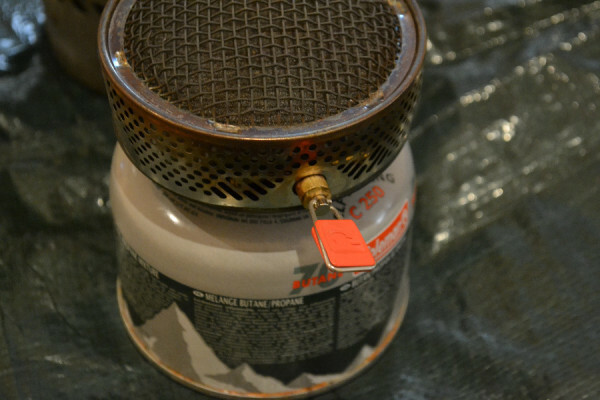 I have been a satisfied owner of a Primus Omnifuel stove for some time now. It’s an amazing stove when used to its strengths – it fries up steaks, gently reheats potatoes and sizzles up the breakfast bacon with ease. In one area it performs quite poorly however and that’s boiling water in windy conditions. I still use and carry my omnifuel for that medium rare steak or the gourmet touch – but I needed something which can boil water fast no matter the conditions. The reactor is designed solely to boil water, and to do it quickly and quietly with the highest efficiency possible. This stove doesn’t try to be all things in all situations and the little design decisions and adaptations all aggressively seek that main goal of boiling water and doing it well. 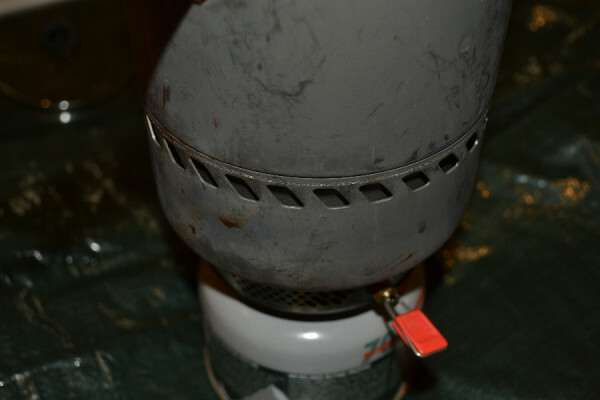 The stove comes in two pieces, a burner unit, which screws onto the gas cannister and a custom designed pot specifically for use with the reactor. One thing you’ll notice is that the reactor burner unit is convex (curves outward) this makes it impossible (or pretty ineffective) to try to use the reactor burner with any other pot. 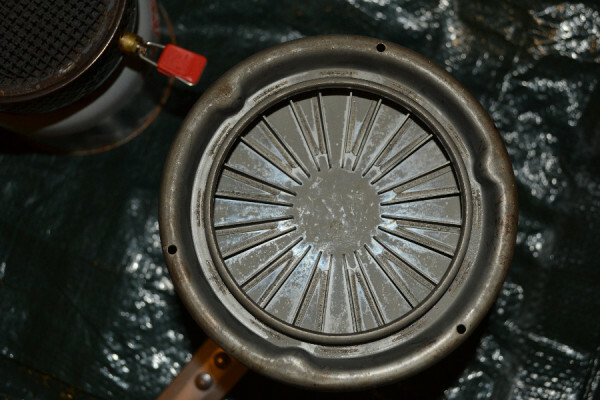 Likewise for using a different burner with the reactor pot – the pot has a concave base with built in heat exchangers, designed specifically to improve boiling time. The stove pot being reviewed here is 1.7L. It is recommended only to fill it with 1L of water however, the 700ml clearance is to avoid boiling over. Bear this in mind when choosing a pot size. While the 1.7L is quite large and heavy for one person, a 1L version is available also. This allows greater heat contact with the pot base. Also the heat exchanger fins below the pot increase conduction of heat to the pot. 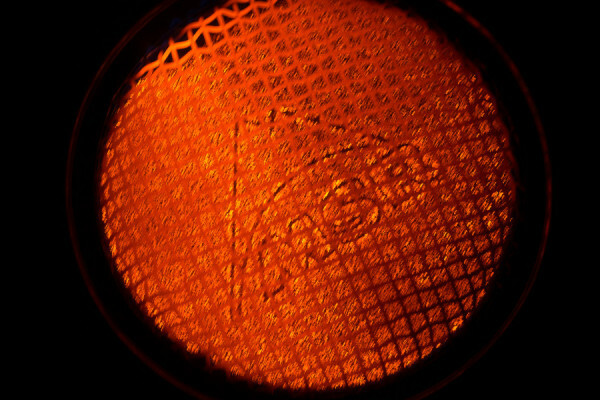 The reflective material in the burner (resulting in the yellow glow seen above) directs radiant heat towards the pot also (heat normally lost in an ordinary stove). The heat exchanger fins are also welded to the pot for additional durability – and do not protrude beneath the pot, so they won’t tear things up inside your bag. The burner being set inside the pot achieves improvement in two ways. Firstly hot gases are forced up through the inside of the pot and out through specially made “exhaust” holes in the side of the pot. This is known as “hot gas entrainment”. Not all of the gas is burned by a gas stove, some of the gas reaches a very hot temperature, but is not hot enough to combust. This is normally blown away before it can reach the pot. With the reactor it is channelled through the pot to transfer additional heat. The second benefit of placing the burner inside the lower profile of the pot is wind protection. One of the issues with outdoor stoves is that they often reduce in performance when operating in wind. The wind blows the flame away from the center of the pot and takes much of the heat and almost all of the hot gasses with it. With the MSR reactor the burner is almost completely shielded from wind, allowing it to act almost completely unaffected in higher winds. I haven’t got an anemometer at the moment, but can only say I found it to still boil almost as quickly on windy summit camps. I’ve been in situations where I’ve had to hold the pot on the stove with the handle due to high winds, but only waited an extra 30 seconds for it to boil. We have no hard metrics for the boil time of this review, suffice it to say it usually brings a litre of cold water to the boil at 800m altitude in under 5 minutes. During informal timed tests the usual time is between 3 and 3:30 minutes. 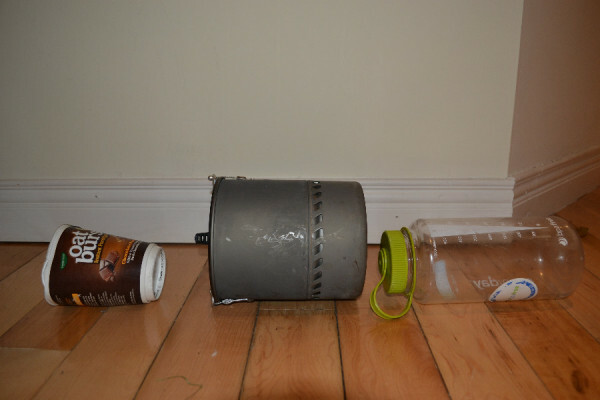 The longest it has taken to boil is 4 minutes with a relatively empty cannister in high wind. I haven’t yet lugged an anemometer, thermometer and altimeter into the hills to bring more precise measurements to the table as I don’t feel 30 seconds here are there as important to most of you as the functional aspects and reliability of the stove. If I’m wrong about this please comment and let me know, I’ll follow up with more measured, scientific tests. Suffice it to say this is the fastest stove on the market for boiling water. I wouldn’t recommend buying this stove in an attempt to branch out into more delicate cooking, such as simmering porridge or soup etc. It just doesn’t work. I have cooked dried pasta in the reactor before and while it does work, you need to be very attentive. The starch in the pasta makes the water a lot more frothy and it will boil over if you are not careful. Unlike the Jetboil however you can just remove the pot from the heat, let it settle, then put it back down. After doing this 5-10 times you’ll have boiled pasta. 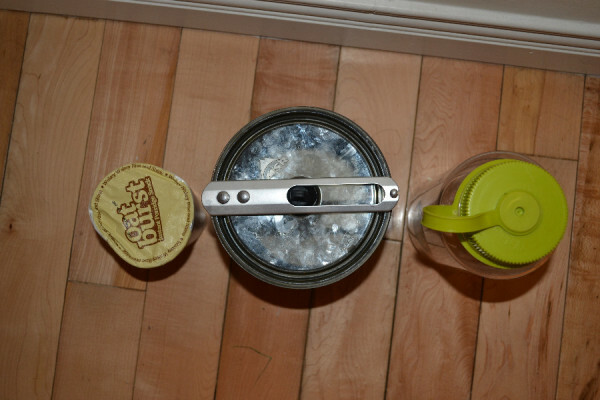 The straining lid is useful, you can then strain your pasta nice and quickly and throw it into a bowl with some sauce. As for simmering, melting cheese etc – don’t even try. it’ll boil up and reduce in a couple of seconds, then burn and stick horribly to the base of your pot within five seconds. Stick to boiling water, or boiling small things in water. The MSR reactor feels bombproof. The pot is sturdy, with welded fins and a nice tough handle. It has taken a battering about the hill and inside my pack and has never once let me down. I’ve left it sitting out overnight next to my bivvy bag quite often without consequence. It’s also worth noting this stove is whisper quiet. It makes a nice change to be able to hear the sounds of nature while I boil the water for my morning tea. Compared to the jet-engine roar of my omnifuel, this is a treat – the sound of the water boiling is actually louder than the stove itself in operation. That said however for longer trips I would recommend bringing an ultralight backup stove such as a pocket rocket if there is more than one person in your party. The reactor has never failed on me, but if it did it just isn’t field serviceable. I wouldn’t have a hope of being able to take this thing apart and back together in the hills, much less functionally repair anything. While it is built to last – if it ever does fail, you’ll need to send it off to have it fixed. The reactor is very efficient and seems to go quite far on even a small cannister of fuel. MSR’s own stats suggest 5-6g of fuel per litre of water boiled. My observations would seem to agree with this. On a recent camp (forest at low altitude) I boiled around 20L of water for tea, washing up etc and went home with a 250g gas cannister just under half full. As with all things, taking care is key. In the above example the stove was left burning quite often while the pot was filled, not immediately switched off afterward etc. 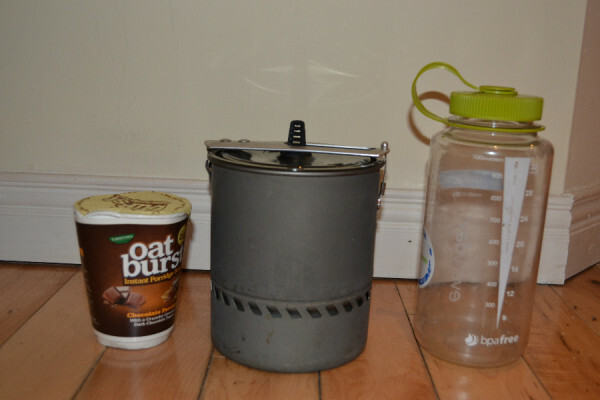 If you’re careful to burn not a second more gas than needed to boil your water, it would be entirely conceivable to cater for a group of three using boiled water meals, on a week long trip with just a 250g gas cannister. Not having to lug around loads of gas definitely offsets the weight of the stove system in my book. The reactor boils water faster and more efficiently than any other gas stove currently on the market. It’s also quite sturdy and reliable. This is good, as it’s also the most expensive stove currently on the market. It isn’t flexible, boiling water and boiling things in water are about as much as you should expect from it. It won’t simmer your soup or reduce your bolognese, but it will for its hefty price tag boil water faster and more efficiently than any other stove we’ve used, regardless of wind speed and weather conditions. Heads up! I have now used this stove on every camping trip for over three years. 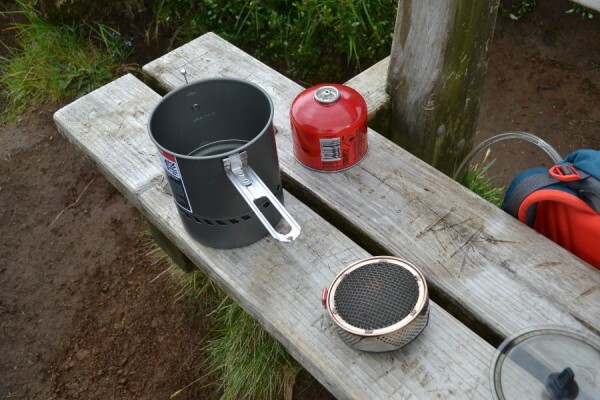 The stove has been used heavily for over 50 days of camping and has certainly not been treated with kid gloves. I continue to have no issues with the stove in terms of reliability or performance. If you like the look of this gear, please consider purchasing from Amazon via the link below. We receive a small referral fee at no cost to you if you do. Please also be assured that this in no way affects the content of our reviews, you’ll see these purchase links in the products we hated too, just in case you disagree with us! This stove is available in three pot sizes The pots are interchangeable and can be bought separately. This review was for the 1.7L system. We recently completed a four day through hike in Montana. My buddy has this stove and I brought my Jet-Boil. I would agree that the MSR boils the water a bit more rapidly. Although, it did seem a little heavier. Seemed like a good stove as we used it to boil water for 5 guys over 4 days. I just edited your URL from http://TypwTwoFun.com to http://typetwofun.com - it should click through ok to your site now. I agree the reactor is not a solo stove. I tend to err on the heavier side though when it comes to packing stuff so it doesnt bother me too much. It would be an ultralighter's nightmare!